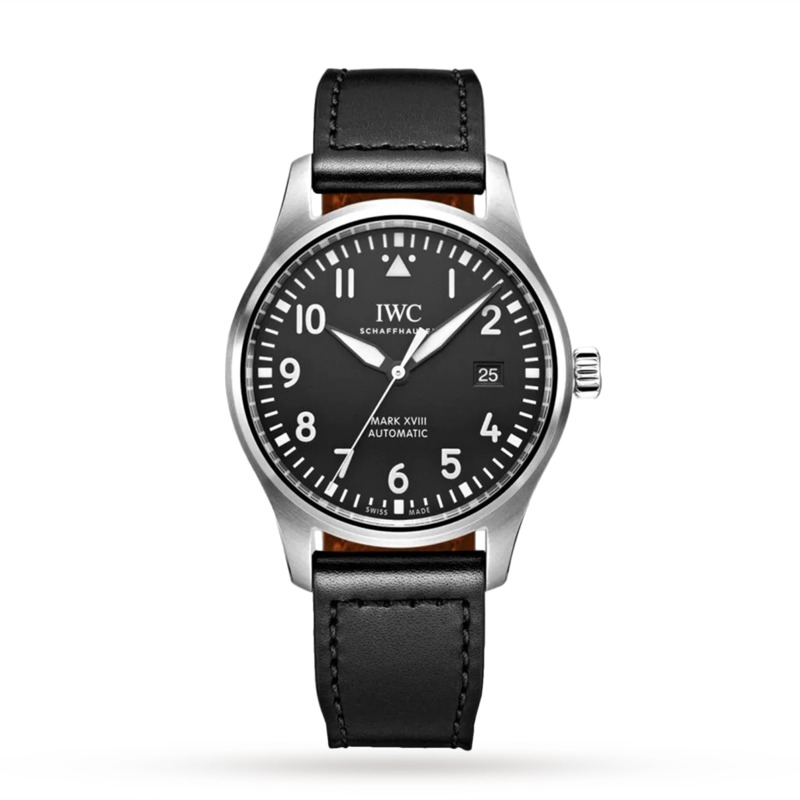 Based on the design of the iconic Pilot’s Watch Mark XI, this IWC Pilot’s Watch Mark XVIII for men has a firm focus on efficiency, keeping functionality to a bare minimum without compromising precision or accuracy. The matte black dial has been designed to be easy to read during both the day and the night, with bright white hands and indices complete with a luminescent coating. The dial also features large Arabic numerals, with a white triangle at 12 o’clock and a date window at 3 o’clock. 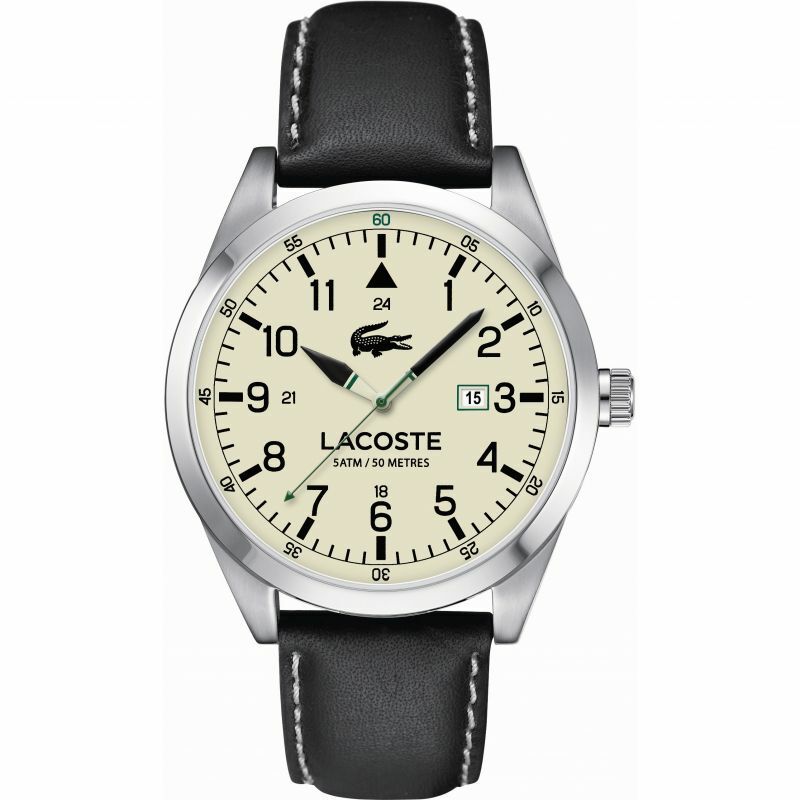 Set within a 40mm stainless steel case and driven by automatic, 35111-calibre movement, the high performance watch features a soft-iron inner case to protect against the influence of magnetic fields, a front glass secured against displacement caused by sudden drops in pressure and water resistance to 60 metres. The timepiece is secured with a black, Santoni calfskin strap with a statement orange underside providing an unexpected pop of vivid colour. First produced in the 1930s for civil aviation purposes, the Pilots family has become known for its precise timepieces with outstanding technology. Discover the full IWC collection.